Use this graphic organizer either to pull out plot elements from a story or use it to help students organizer their thoughts before writing a story of their own. 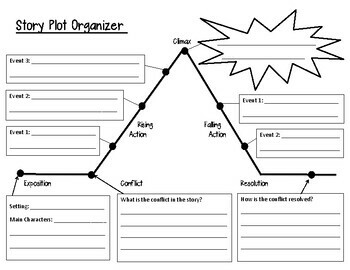 The first story plot organizer uses "conflict" and the second one uses "inciting incident." Otherwise, everything else is the same.